If you're eagerly awaiting the launch of Microsoft's new Windows 10 operating system, you only have to wait a short while longer. At the Windows Hardware Engineering Community (WinHEC) summit in China, Microsoft announced that Windows 10 will be officially available this summer. Despite revealing the launch window for Windows 10, Microsoft EVP of Operating Systems Terry Myerson did not give a specific date. "We continue to make great development progress and shared today that Windows 10 will be available this summer in 190 countries and 111 languages," Myerson wrote in a blog post on the company's website. "Windows has always been global with more than 1.5 billion users around the world and here in China hundreds of millions of PCs operate Windows today." Updated: In an interview with Reuters, Myerson announced that, in an unprecedented move, Microsoft will allow even those with pirated versions of Windows to upgrade to Windows 10. "We are upgrading all qualified PCs, genuine and non-genuine, to Windows 10," Myerson said in a telephone interview with the news outlet. Update 2: Microsoft clarified its position on an upgrade path for owners of pirated copies of Windows to Windows 10. 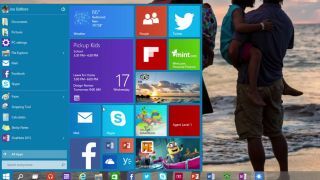 In an interview with The Verge, Microsoft says that upgrades to Windows 10 will be done through the Windows Store, alluding to the fact that these owners may have to pay for a fully licensed copy of the OS. "We will provide a mechanism for non-genuine Windows 10 PC devices to 'get genuine' via the new Windows Store, whether they are upgraded versions of Windows or purchased," a Microsoft spokesperson told the publication. Once considered the operating system for desktops and laptops, Microsoft is unifying its branding efforts under the Windows 10 moniker. Windows 10, as a brand, will be used for smartphones, tablets, PCs, laptops, Internet of Things (IoT) devices, and even on the Xbox home gaming console. Microsoft has launched a number of initiatives with Windows 10, including making a push for universal apps that run across different screens. Most recently, Microsoft announced that it would be bringing greater security and convenience to Windows 10. New systems that ship with Windows 10 and support biometric security hardware will allow users to forego the password and use a fingerprint, face scan, or iris scan to log into Windows and apps, websites, and networks. Microsoft is calling its new native biometric authentication system Windows Hello. "I can't wait to see how amazing companies around the world will continue to innovate with devices running Windows 10," Myerson said in a statement. "Working together I know we can create some incredible experiences with Windows 10 that will truly delight our customers." Microsoft previously announced that consumers on Windows 7, Windows 8, and Windows 8.1 will be able to upgrade to Windows 10 on their PCs for free within the first year of release. Microsoft has not announced what the upgrade pricing would be after the debut year for Windows 10. Windows 10 is currently in technical preview and users can join the Microsoft Windows Insider program to trial the new OS before its commercial release. In addition to Windows 10 for desktop, a separate but concurrent technical preview is also in place for Windows 10 for phones.